It’s beginning to look like this whole enterprise software-in-the-cloud thing might just go somewhere. For the latest evidence, look no further than Workday, the fast-growing provider of human resources software as a service. Today, Workday will announce that it has just raised $85 million in new financing, bringing its total amount of capital raised to $250 million. Sources familiar with the terms of the deal tell me that the investments value Workday at $2 billion. The funding round isn’t coming from traditional venture capital players, but from institutional investors who will want to be shareholders of Workday when it goes public in the second half of next year. The round, which is being described as a Series F, includes T. Rowe Price, Morgan Stanley Investment Management, Janus, and Bezos Expeditions, the personal investment entity of Amazon CEO and founder Jeff Bezos. I’m also told, by sources familiar with the deal, that William Danoff, the manager of Fidelity’s $80 billion Contrafund, the mutual fund giant’s largest stock-based fund, has participated in this funding round. This would be the Contrafund’s third recent investment in a privately held Internet company, the other two being Facebook and Zynga. In fact, it’s the same group of funds that took part in a huge round with social gaming force Zynga in February; in Groupon in January; and which earlier this year bought nearly three million shares of Facebook for $25 each. And while there’s no S-1 filing from Workday to peruse just yet, Bhusri told me that Workday is growing plenty fast. Having disclosed $160 million in billings in 2010, Workday, he says, is on track to do twice that — or about $320 million in 2011 — and that it’s close to breaking even. So this round of capital is insurance. With the world economy so out of joint, if no logical window for an IPO emerges in 2012 — a reasonable worry — then Workday won’t be forced, should the need arise, to raise more capital in a difficult market. So what is Workday, exactly? For the answer, you have to turn the clock back to 2004, when the software giant Oracle made its initial hostile bid to take over PeopleSoft. Bhusri was a senior executive and co-chairman of PeopleSoft’s board. After losing the battle to resist Oracle, he and co-founder Dave Duffield decided that the next battle for enterprise software would be in the cloud. 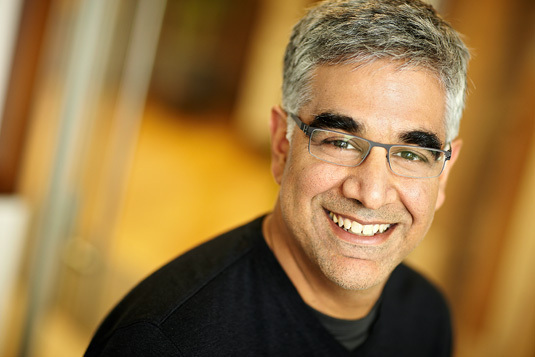 Workday was born within months of their departure from PeopleSoft. The plan, Bhusri says, was to create the next generation of PeopleSoft’s software, or the next generation of SAP’s Human Resources and Enterprise Resource planning software — essentially, software that businesses need to run day to day. But rather than deliver it in the traditional manner — run it on machines at the customer’s location — it’s all delivered via the cloud. “It’s as if you were going to start over with a clean sheet of paper and design this kind of software all over again,” Bhusri says. And Workday’s customers aren’t exactly small players. Its average customer has between 10,000 and 15,000 employees. Among its 250-odd customers, the biggest is Flextronics, the huge electronics manufacturing company, which has 200,000 employees. Other customers include Time Warner, Thomson Reuters, Chiquita Brands, and perhaps unsurprisingly, Salesforce.com. There are some two million employees on the system. All that after only four years of actively selling the product. And what Workday sells is a system that tends not to get replaced very often in large companies — perhaps once a decade. That gives the company an advantage when it asks for contract commitments that last three years; most cloud companies offer their services on a pay-as-you-go basis. Workday’s targets are Bhusri’s old customers who bought PeopleSoft software to run their businesses one product generation back, and also those who run SAP software. So when a new customer signs on it’s usually one or the other being displaced. Other rivals include Lawson, Infor and, occasionally, the payroll giant ADP. And Workday isn’t sitting still with HR software. Its next battle will be in financial planning software that companies rely on to handle money — accounting, expenses, procurement. Workday already has 50 customers running the financial stuff. Once they try Workday’s HR, they like what they see, making for an easy upsell. Others just swap out both the HR and financial parts in one go, Bhusri said. And the competitive targets are the same as well: Oracle and SAP. One wonders if they aren’t just a little worried.